Autumn is the perfect time to begin capturing the attention of winter wildlife sure to be on the hunt for food, water and shelter as the days grow shorter and cold weather rolls in. 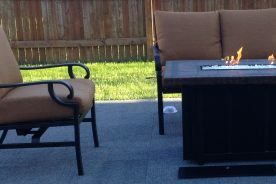 There are many unique and cost-effective ways to transform your yard into a holiday retreat of sorts with amenities sure to be appreciated by feathered and furry friends, both right now and for seasons to come. Which animals can I attract during the winter? According to the National Wildlife Federation (NWF), there are over 800 birds and over 410 species of mammals in the United States. The USDA’s National Resources Conservation Service defines “habitat” as a mix of food, water, shelter and space–all arranged to meet the needs of wildlife. Even tiny lots and small yards can be built-out to benefit wildlife such as birds and small animals looking for a place to land any time of year. To improve your chances of standing out as an ideal hangout or stopover point during the cold winter months, it makes sense to think holistically about the ideal way to “invite” them in. The addition of trees and shrubs may be considered to beautify a landscape while providing needed shelter or food sources for wildlife. Native plants, flowers and trees tend to fair the best, and will pay dividends in future years. One example is the red cedar, a juniper that provides food and a protective shelter for many kinds of birds. Hackberry, as another example–this one favored for its durability–is dined on by about 50 species of birds, including roadrunners and titmice. Cedar waxwings and fox sparrows are among the birds to feast on the berries of Hawthorn trees in the wintertime. 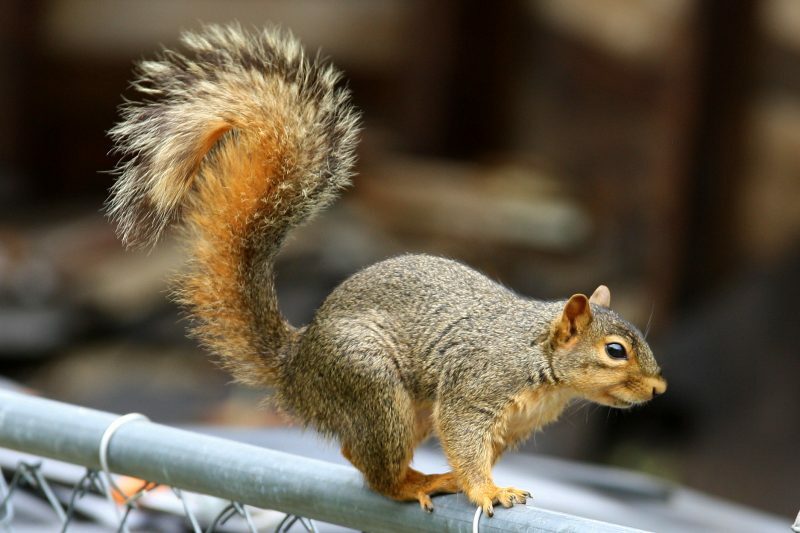 According to the National Arbor Day Foundation, dozens of wildlife species are known to feed on nuts such as acorns. Conifers, junipers, firs and spruces may all be considered as popular or worthwhile additions to the landscape. Next, turn yard waste into building material that promotes the development of your winter wildlife habitat. 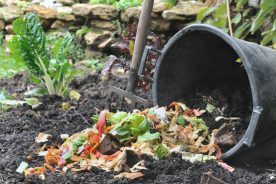 Use twigs and branches to construct a brush pile in which mammals such as rabbits, chipmunks–and even some hibernating reptiles or “beneficial” insects–may find cover. Construct it away from buildings, but in close proximity to food sources, if possible. Dead trees or firewood, when stacked properly, can make for an adequate wildlife shelter, too. 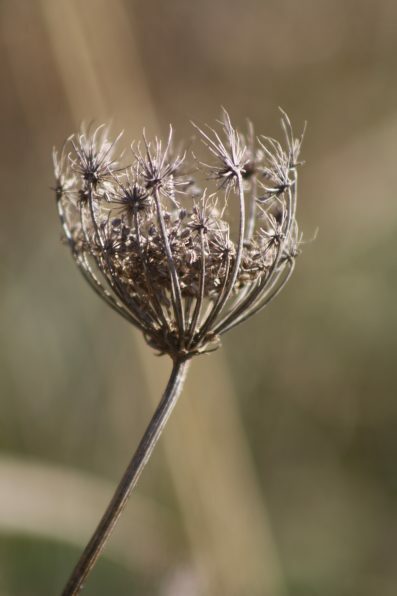 A variety of wildlife can find nutritional value in native plants, which provide seeds, nuts, fruits and foliage, among other natural benefits. 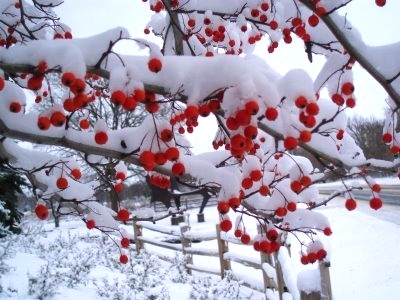 As temperatures drop, for instance, berries tend to capture the interest of birds–birds that in the summertime depend on insects as a primary source of food. 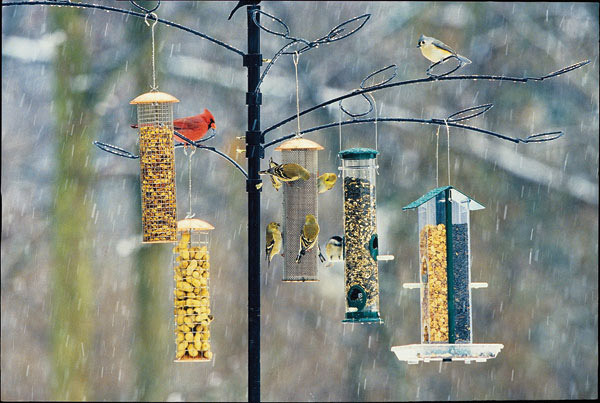 In addition to fruit-bearing shrubs or trees, feeders of all shapes, sizes and dimensions can be used in winter wildlife habitats to supplement natural food sources. After deciding on the perfect fit, whether it’s a traditional tubular-shaped feeder or custom-built model, the next step is figuring out what to fit it with. Many species of birds are known to feed on black oil sunflower seeds–considered among the best all-around bargains for such a product–given its nutritional value and ability to attract a variety of wildlife. Every critter is attracted to the sight and sound of water. In fact, regardless of season and not to mention breeding or bathing, all animals depend on it to survive. One of the best moves you can make to attract wildlife is to ensure that a consistent supply of fresh water is made available–by installing a birdbath or building a small pond, to name a few possibilities. Birds in winter, for instance, are natural survivalists in constant search of food, water, shelter or nesting materials. There is everything from pine siskins and grosbeaks to sparrows, songbirds, hummingbirds, blue jays, robins, cardinals, waterfowl, quail, thrushes, robins, wild turkey­ and chickadees, to name a few, and depending on your neck of the woods. It seems there is nothing birds in the heat of summer enjoy more than cooling themselves in a well-maintained birdbath. Then again, investing in a unit with an internal or external heating element offers the added benefit of year-round comfort­–and a de-iced drinking hole for both birds and squirrels–in spite of whatever Old Man Winter brings. Change the water often and on a daily basis, if possible. Keep the temperature set at 40 to 50 degrees. Looking for a low-cost solution? A naturalist writing for the University of Illinois Extension recommends turning leftover hanging planters into inexpensive bird feeders by simply placing the saucer–normally used to catch dripping water–on top of the planter and filling it with seed. The same idea applies to window planters, which can be repurposed as bird feeder–bringing the birds in for a close-up view. 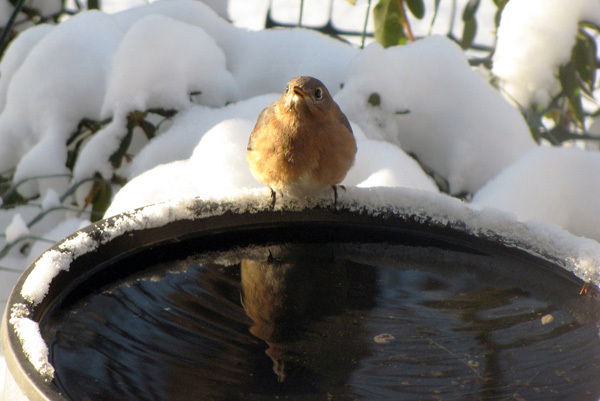 Winter wildlife may also delight–for households that can afford the space and expense–in the installation and maintenance of a pond, which can be prevented from freezing over via the operation of an aerator. Be sure to keep feeders clean by never pouring fresh seed on top of old product. In any case, given any single drinking container may be used by many different animals, all water containers should be refilled on a regular basis as it lessens the risk of disease being spread due to stagnated water. Pro tip: It is recommended that bird feeders and baths be placed either within three feet of windows, or more than 30 feet away–at a range that birds are more likely to avoid colliding with windows because they can see the entire structure. If the situation permits, deer may be attracted by stockpile of hay, grains and other such feedstuff. They may also enjoy apples, oats or acorns as dietary supplements. 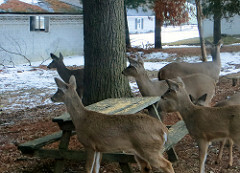 It is important to point out, however, that, according to the Humane Society, hay of any kind­–or any types of cabbage, or lettuce trimmings or kitchen scraps–alone do not provide adequate nutrition for deer. The deer formulation recommended by the society is made up of approximately 14 percent protein, provides sufficient energy and fiber, and is served in pellet form. Small twigs and branches may be recycled as food for rabbits to eat during the winter. Though these animals have a reputation for inflicting damage on flowers and gardens, they may be kept from harming plants if another natural food source is made available. Rabbits are certainly known for devouring young trees and shrub buds. But don’t put out berries and vegetables as a winter food source for rabbits, because it can lead to the arrival of otherwise unwanted guests–namely possums or raccoons. 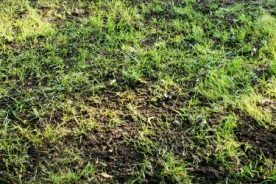 Furthermore, as these animals develop greater dependence on an unnatural food source, they may wind up destroying other parts of the yard. The Humane Society additionally warns to take care that wild rabbits don’t become overly dependent on what you are providing as their only source of food. With regards to squirrels, nothing beats a good-fashioned corncob feeder. They will also eat walnuts, butternuts, hickory nuts or acorns, which can be collected in the fall and saved for distribution later in the winter. It has been suggested that the activity of humans has changed or altogether eliminated various habitations that had been previously depended on by wild birds and animals. At the same time, winter wildlife including birds and ground-nesting animals can appreciate–and in some extreme cases even depend on–access to food, water and shelter from supporters in both rural and urban communities. 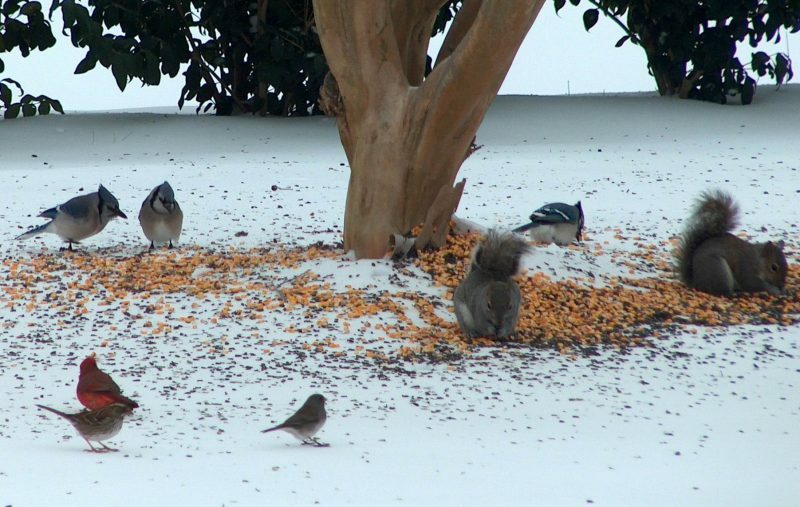 Whether you are planting native grasses, building nesting boxes or bundling up on the way to the feed store, there is no harm in feeding squirrels or birds. Just remember that, when working to attract wildlife and feeding animals, take care lest you get more than you bargained for. Given recent sightings of mountain lions prowling around homeowners’ backyards in states such as Iowa, reports of deer smashing their way through plate glass windows, and the aftermath of a bear attack or near misses shared on YouTube, it is equally as wise to err on the side of caution when creating your ideal winter wildlife habitat. The smart money is on minding your surroundings as the establishment of a feeding site can have latent consequences, such as increasing the risk of collisions between deer and vehicles, unintentionally disrupting migration patterns as deer travel to natural wintering areas, or inadvertently giving a predator a leg up on its prey. 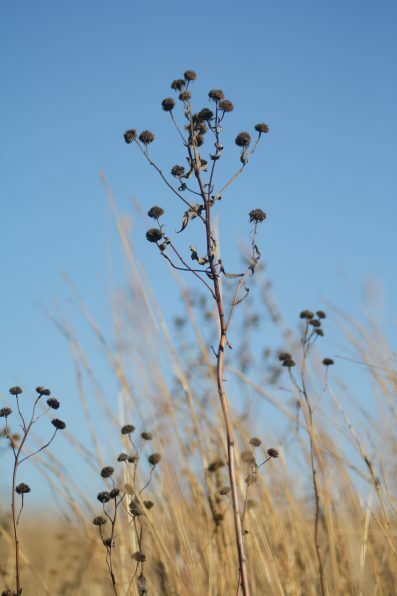 There is an array of methods used to attract winter wildlife while establishing a habitat suitable for any given manner of birds and animals hunting for food or shelter during this time of year. The temps are dropping, the leaves are falling fast, and the grass isn’t quite as green anymore. Some may remember their aunts or mothers negotiating the arrival of giant flocks of birds–simply by tossing torn-up pieces of stale white bread out the back door, and into the fresh, white Midwestern snow. By taking reasonable steps to create a more natural environment focused on attracting winter wildlife, people can contribute organically to the health of the soil, water and air in local neighborhoods and regional communities. When done properly, the supplemental feeding or “sheltering” of wildlife can provide hours of enjoyment for the whole family, alongside the potential for an array of animals, from birds or squirrels to rabbits and deer, to dig in or pass through.